One of the thinkers behind the Oslo Accords believes an Israel-PA agreement is closer than ever, says Oslo didn’t cause terror deaths. Israel and the Palestinian Authority are closer than ever to reaching a diplomatic agreement, says Dr. Yair Hirschfeld, one of the thinkers behind the Oslo Accords. Speaking to Arutz Sheva, Hirschfeld said that political views have shifted on both sides, making both Israelis and PA Arabs more open to compromise. The “two-state solution” that was once supported exclusively by the political left in Israel is now accepted by the Likud, he said, while many PA leaders have given up the demand for the “right of return” and now seek only a PA state. Even among Jewish leaders in Judea and Samaria (Shomron) there are many “pragmatists” who would accept the creation of a PA state in the region, he said. The PA has also made steps forward in providing real leadership, he argued. In the past, there were dozens of different terrorist groups operating in PA-controlled regions of Judea, Samaria and Gaza. Now, he said, aside from in Gaza, PA power has largely coalesced to a single armed force loyal to the PA leadership – a step toward statehood. That practical shift toward statehood is what Israel should encourage, he continued. Previous talks that focused on “core issues” first all failed, he said. 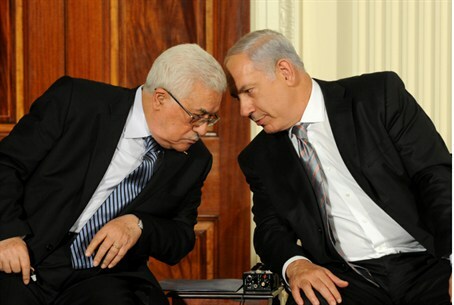 Instead, he suggested, both sides must focus on making a PA Arab state a reality even without a political agreement. Part of that process would be instituting a construction freeze in parts of Judea and Samaria that Israel’s leaders plan to concede to the PA, he noted. The state-building approach could leave right-wing politicians realizing too late that their struggle against a PA state has effectively been rendered irrelevant, he said, agreeing with Arutz Sheva’s interviewer. Expectations on both sides were low going into the current round of talks, Hirschfeld said. However, he said, neither side sees any realistic alternative, and both sides have a strategic interest in reaching a “two-state” agreement. Hirschfeld defended the Oslo Accords, which have been accused of sparking years of brutal terrorism that left over 1,000 Israelis dead and many more suffering life-long injuries. The Accords were aimed at strengthening Israel, he said. Backers of the process believed that only an agreement with its Arab neighbors would protect Israel’s future as a Jewish, democratic state, he explained. He argued that the Oslo Accords did not cause the bloody fighting that followed. “That is propaganda, if not incitement. Incitement by the political right, built on half-truths. The other half is more complicated,” he said. Examples of “more complicated” factors include Baruch Goldstein’s murder of Muslim worshipers in Hevron and the assassination of then-Prime Minister Yitzchak Rabin, he said, both of which played their part in exacerbating the conflict.